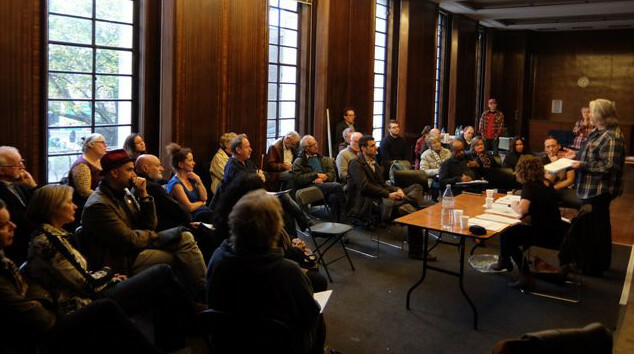 Crouch End is a few short months away from the disposal of the Town Hall, the public square, the annexes and surrounding land to a private developer. Are the incorrigibly civic minded Neighbourhood Forum interested in the development? 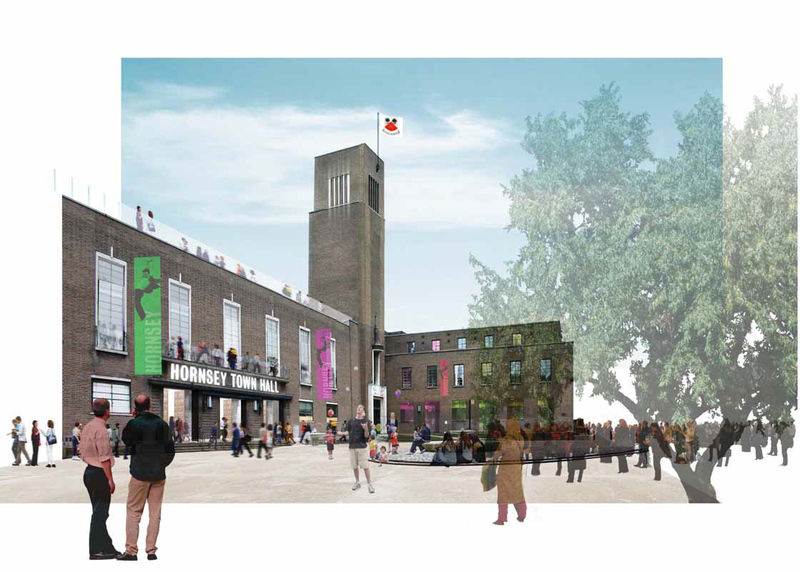 Do we see the transformation of the once proud centre piece of Crouch End and the Borough of Hornsey as a big deal? And as a statutory body with a role in local planning, are we obliged to take a good hard look at the scheme? Of course there’s also widespread concern (even suspicion) whether a private sector project can deliver the goods. Will it deliver, to quote Haringey themselves: “an interesting, lively focal point for Crouch End… a viable and vibrant mix of community, cultural, arts, leisure, business and residential uses”*? For that matter, will the proposed project still be there in 10 years? 1. Beyond the initial selection and evaluation process, what arrangements do the council propose to ensure long term delivery of their objectives to deliver a viable and vibrant mix of community, cultural, arts, leisure, business and residential uses? And what role does the council see for the Neighbourhood Forum and other stakeholders in the remaining stages of the process, the development works, and the longer term? 2. Will relevant details of the bidder’s proposals linking the development to improvements for the economy and infrastructure of the wider Crouch End area be made publicly available? 3. If the Community Infrastructure Levy is applied to the development, would it be possible to use the resulting funds to improve the public realm of both square and Broadway? 4. 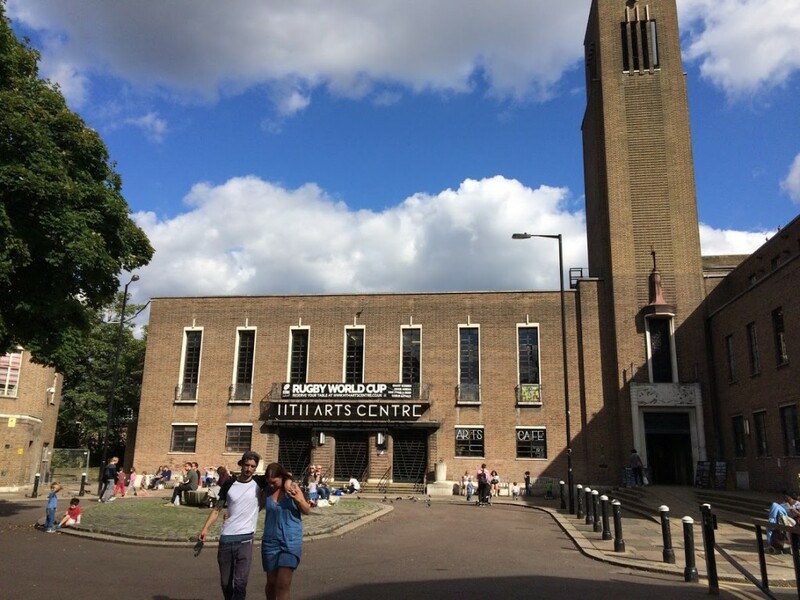 Will the Neighbourhood Forum be invited to participate in relevant planning meetings between the Haringey Planning, the approved bidder, or other stakeholders? 5. Can details of any forthcoming project consultation exercise and any other planned engagement with stakeholders across the community be made available? 6. Will a ‘community working group’ of some kind be formed for liaison purposes during the development period? 7. Does the council agree a collaborative approach to the design, development and future use of the public square and green would provide a useful opportunity for the developer to positively engage with the community? 8. Will details of the Development Agreement and Lease made between Haringey and developer be published or made available? 9. What body is likely to oversee and enforce covenants in the lease? Who will represent the community in future decisions on use and ownership? Will, for instance, the HTH Creative Trust continue in some form, or alternative Trust be formed? Your letter seems too focused on procedures and not ideas. We know that the Town Hall refurbishment is going to be paid for by housing development (and with perhaps a nice little nestegg for the council) and yet nowhere in the four pages is housing even mentioned! Catherine West has called for at least 50% of the housing to be geniuinely affordable when the council in the planning consent it has awarded itself makes virtually no provision at all. It was reported in the Ham&High yesterday that the Mayor of London has been invited to see the building. Is the Forum going to support Catherine West or not? You raise a valuable point, and one many are asking. Not least Catherine West – who we are speaking to. You are also correct about the letter to Haringey. It is absolutely about process. At the moment we have no means of exerting any influence on the decisions being taken, though we rather think that a greater role for the community could make a meaningful contribution – in a number of areas. We’ll let Crouch End know the council’s reply. The line Haringey have taken about affordable housing emerges from the point you make. The costly (£15m plus) restoration of the at-risk Town Hall has to be met through the profits on the residential development – so a section 106 agreement was drawn up that drops all other requirements from the developer (incl. affordable housing). I guess we have to decide whether that argument holds water. Comments please. It’s also worth repeating that at this point we still have no idea what is in the bids. If a developer is proposing a better mix of housing types, maybe Haringey would favour them?